Daily train and bus links make Figeac an ideal starting or stopping point for long-distance walkers breaking a journey along the Chemin de Saint-Jacques du-Puy into multiple stages. 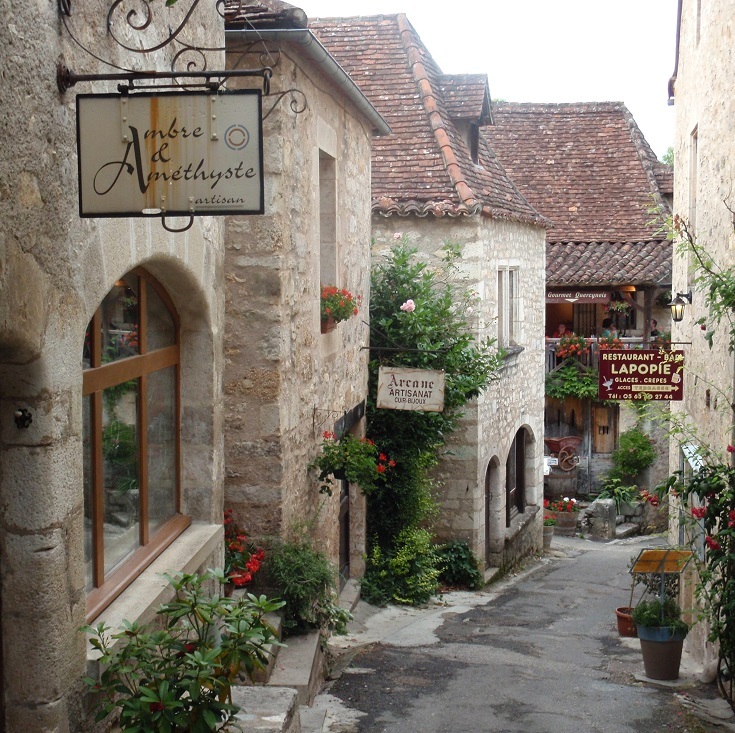 Classified as a ville d’art et d’histoire, Figeac places great emphasis on preserving the arts and history of the town and there is plenty here, and in the surrounding area, to distract the walker for a day or two. The Tourist Office is located on Place Vival in la Maison de la Monnaie, which is considered to be one of the best examples of a medieval merchant house in France. Living quarters for the merchant and his family were located on the upper floors with the shop opening onto the street from the ground floor. 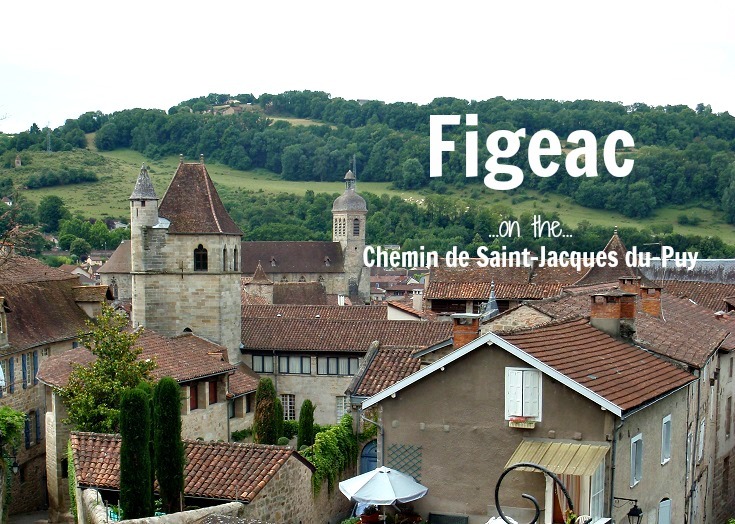 At the Tourist Office, ask for a copy of Les clefs de…Figeac—a map of the town which guides the visitor on a two-hour walk past thirty points of interest, including museums, churches and noble houses. Each site is marked with a small plaque displaying a numbered key and some of the history of each building is described more fully on the map. There are many beautifully preserved half-timbered houses and stone buildings dating from the fourteenth, fifteenth and sixteenth centuries but keep an eye out for Maison du Griffon in Place Champollion, the oldest house in Figeac built in the twelfth century. In summer, guided tours which focus on a particular theme, such as architecture or the city walls and gates, leave from the Tourist Office, providing a more in-depth exploration of the town. And if you’ve done enough walking over the last few days and weeks, a tourist train makes a 45-minute journey around town every hour on the hour (except for lunch), every day (except for Saturday) in July and August. 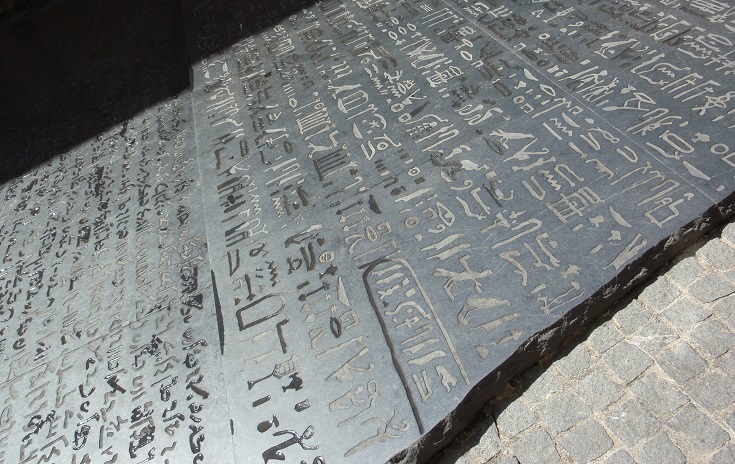 Figeac was the birthplace of Jean-François Champollion, whose success in deciphering the hieroglyphics of the Rosetta Stone gave the world a greater understanding of life in ancient Egypt. His home is now a museum—Musée Champollion—dedicated to the history of writing throughout the world. Next to the museum, in Place des Ecritures, is a replica of the Rosetta Stone by American artist Joseph Kosuth. The museum is open from 10h30 until 18h30 every day in July and August, with slightly reduced opening hours at other times of the year. An audioguide is available in French, English, Spanish and German. Check the website for full details. 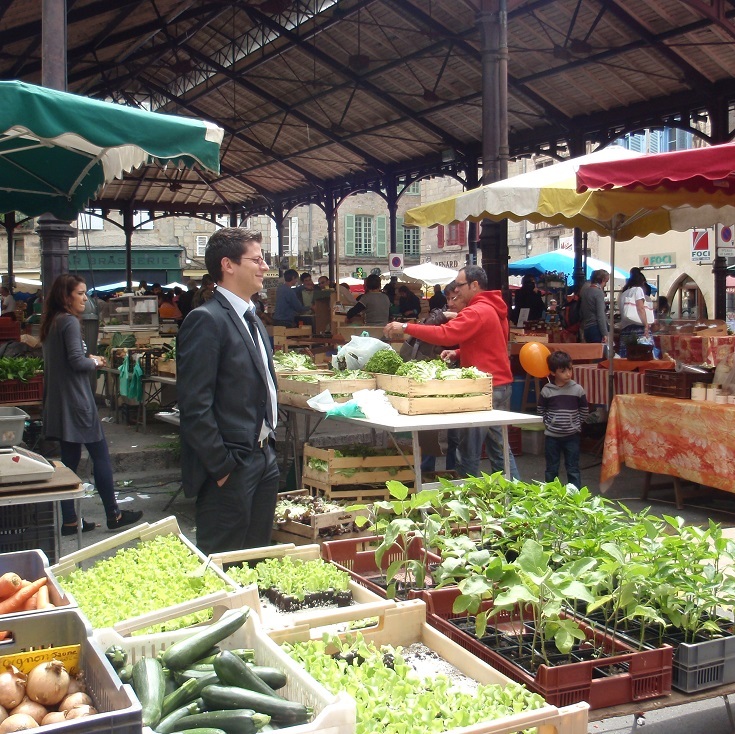 Fresh food markets in France are always a treat and Saturday morning in Figeac is no exception. This is the perfect opportunity to stock up on trail mix—fresh figs, olives, dried fruits, prunes, nuts and a wide variety of locally grown fruit. And, of course, there is fresh bread, locally produced cheeses and wine for a truly indulgent picnic. If you can eat it quickly or have access to a fridge, treat yourself to some locally-made yoghurt which tastes unlike anything ever sold in a supermarket. Although the Tourist Office website doesn’t mention it, the markets were also going strong on Sunday morning while I was there in summer, but confirm this with the locals before you plan your day around it. If your visit to Figeac is part of a long-distance walk along the Chemin de Saint-Jacques, chances are you passed through the most beautiful village of Conques a couple of days ago and you are looking forward to visiting Saint-Cirq-Lapopie later this week. But perhaps not? Then now is a good time to rent a car and head out into the surrounding countryside. Fifty kilometres (31 miles) to the east of Figeac is Conques which has been an important stop on the pilgrims’ trail since the ninth century when an abbey was built here in the valley to house the relics of Sainte-Foy, a thirteen year old girl, martyred in 303 AD in nearby Agen for her refusal to renounce her Christian faith. After the initial decree that she be burned alive on a metal grill resulted in a public outcry, Foy was thrown into prison with other Christian supporters. Still, she refused to deny her faith and was later beheaded, alongside her fellow prisoners. 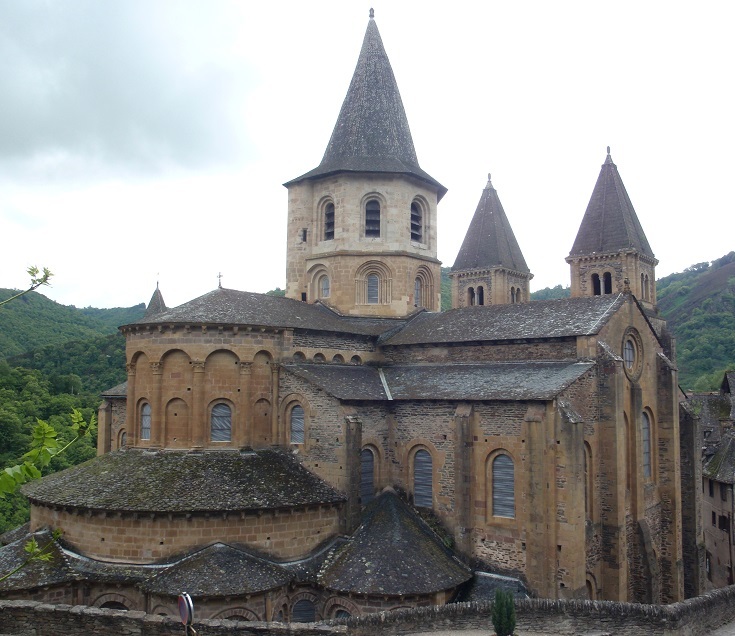 In 866 AD, the relics of Sainte-Foy were ‘borrowed’ from the abbey in Agen and brought to Conques where a new church was built in her honour. The relics bestowed much prestige on the village and it has been an important stop on the pilgrimage to Santiago de Compostela ever since. Fifty-four kilometres (34 miles) to the west of Figeac is the most beautiful village of Saint-Cirq-Lapopie, the painted caves of Pech Merle and the ruins of the abbey at Marcilhac-sur-Célé. Saint-Cirq-Lapopie and Marcilhac-sur-Célé can be explored at your leisure but entry to Pech Merle is limited to 700 visitors per day. It is strongly recommended that you reserve your tickets on-line, in advance, particularly during July and August. The caves include some of the most beautifully preserved pre-historic rock paintings and natural rock formations in France. 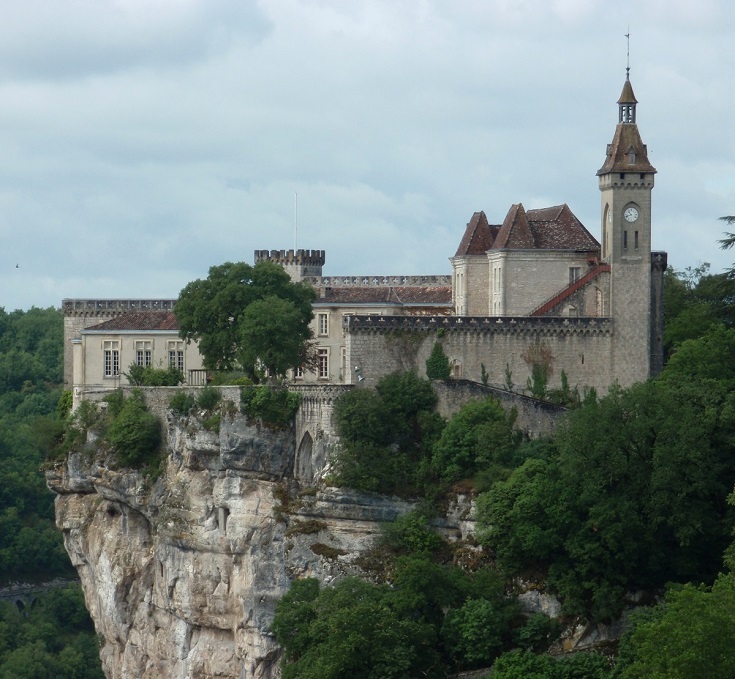 Forty-five kilometres (28 miles) north-east of Figeac is Rocamadour, the second most important religious site in France (after Mont-Saint-Michel). Legend has it that Zaccheus, also known as Armadour and a servant of Mary, mother of Jesus, came here to live in the caves as a hermit. His perfectly preserved body was discovered in 1166 and was buried beneath the steps of the chapel. Pilgrims have been flocking here ever since, often climbing the 216 steps to the church on their knees. 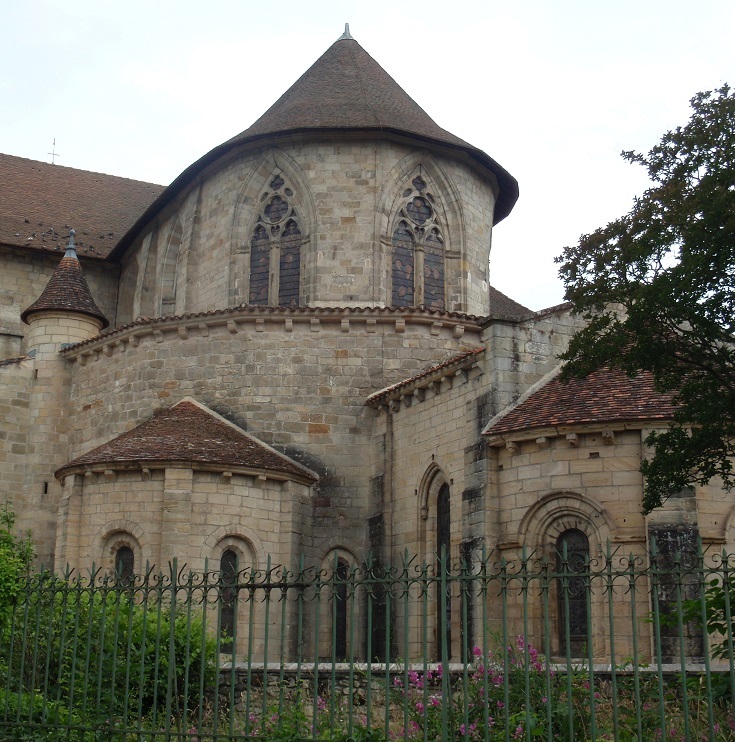 Which long-distance walk visits Figeac?